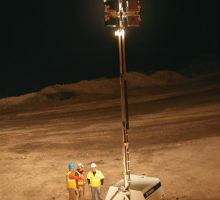 The Terex® AL™5 is an industrial heavy duty light tower built to light up the toughest job sites — from construction and mining to oil field applications. 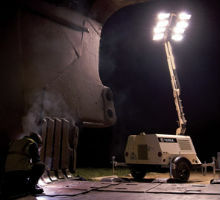 No matter what your lighting needs, the AL™5 series of light towers offers the options and durability to deliver consistent, reliable light to your jobsite. 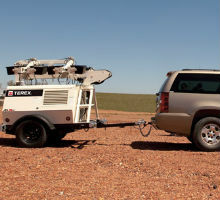 The Terex AL5 is available with both lay-down and vertical mast options to fit the full range of applications. 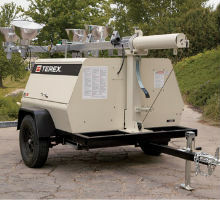 The Terex® AL™5 HT features a hydraulic articulating tower with the option for up to 8,000 Watts of light.